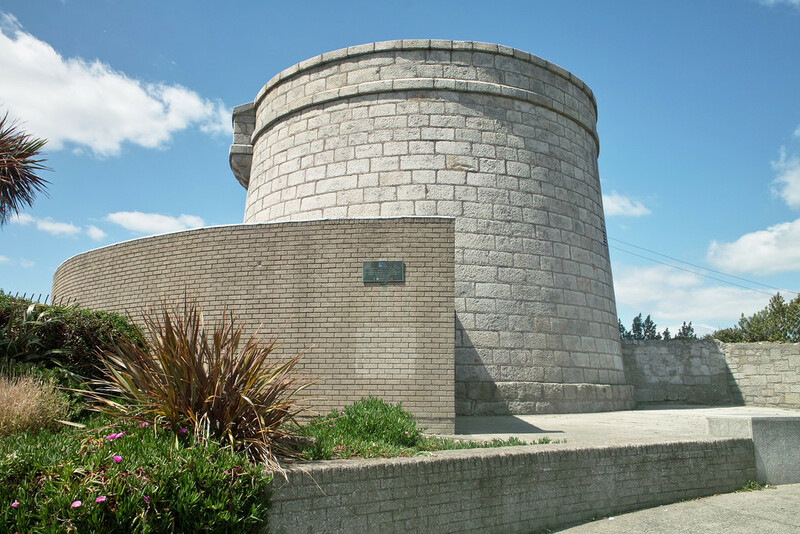 The latest in our series of maritime inspired poems by Daniel Wade is a tribute to the iconic Martello towers dotted around the Irish coast, in particular to the one based in Sandycove and immortalised by the opening chapter of James Joyce’s Ulysses. invasion that will never arrive. nor anyone would dare call it ‘neighbour’. other term of human endearment. eeling in the late-noon tide. night lamps grapple with the shade. as if taunting the bull-headed sea. A car ferry clears the harbour-mouth. of dawn like a casualty. rain may muddy your sight like a blindfold. Grey monsoons keep a civil distance. rises to meet me, a pale fever.